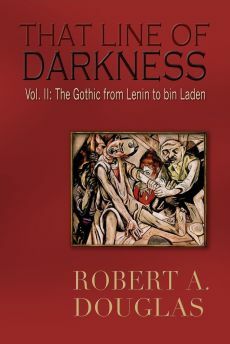 This review originally appeared May 14 in Critics at Large and is appearing in his blog since both volumes of That Line of Darkness explore the debilitating effects of PTSD although in the Great War it was known as shellshock. The theatre is as much a social act as an aesthetic. 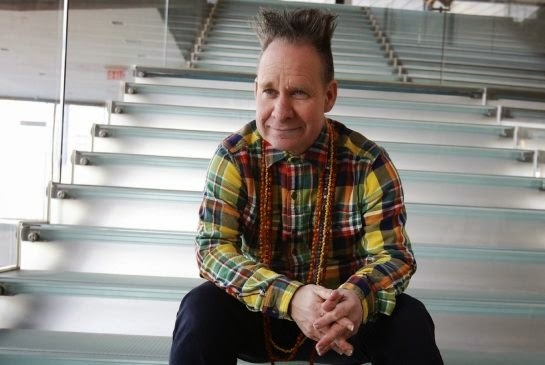 The spike-haired and infectiously exuberant operatic director, Peter Sellars, has always put his distinctive personal stamp on all of his productions. He is an iconoclast who is adamant about discarding the old sets and costumes and breaking down the boundaries between art and life that put the audience at a safe distance. His goal is to render the opera modern and immediate. In doing so he has both thrilled and infuriated opera lovers. 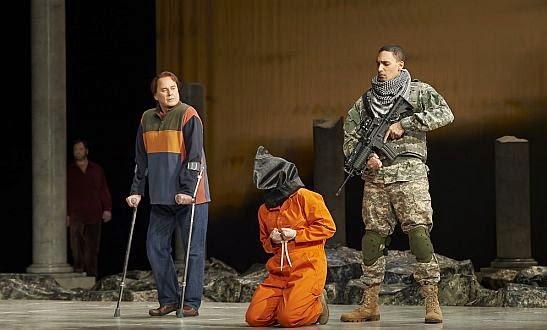 The latter was upset about the recent Canadian Opera Company’s (COC) production of George Frideric Handel’s Hercules in which the captive, the Princess Iole (Lucy Crowe), is hauled on stage wearing an orange jump suit, her face hooded with a black cloth a la Abu Ghraib, by a machine-gun toting soldier, and by the final scene in which the coffin of Hercules is draped with an American flag. Some viewers regarded these contemporary allusions as gratuitous. But Sellars does not indulge in the gimmickry that his critics suggest even though he concedes that the visuals do present a “weird disjunction.” As a politically engaged artist, he deeply believes that the arts in general and opera specifically should provide a visceral intensity and the space for a contemplative experience, which he believes does not occur in the headlines approach to what is happening in our times. He also cares deeply about the music itself as the distinguished musicologist, Susan McClary, remarked in a recent symposium “Coming Home: Handel’s Hercules” held at the University of Toronto’s Munk School of Global Affairs. 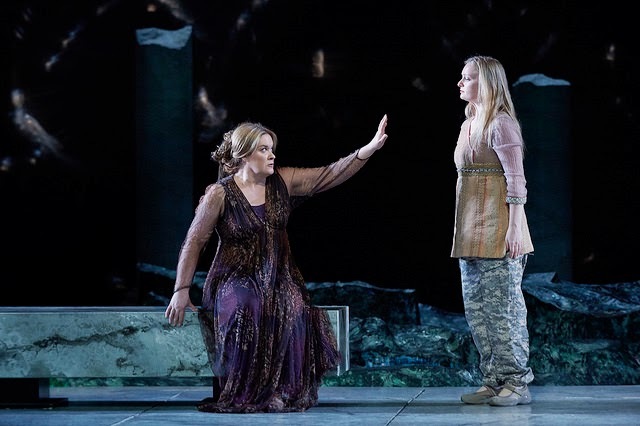 She contrasted him with another renowned director, Robert Lepage, when she wondered whether the huge “machine” in the New York production of Wagner’s The Ring of the Nibelung, which gave the performers so much trouble, deepened our understanding of the Ring cycle. Sellar’s one feature film, The Cabinet of Dr. Ramirez (1991), which appeared on PBS’s Great Performances, pays both homage and is a parody of its famous predecessor, The Cabinet of Dr. Caligari. It too is a silent film but with no subtitles, coloured but flat and underlit. What we hear is the brooding music of John Adams and the ritual chants of Tibetan monks as Ramirez charts the disintegrating lives of two stockbrokers who suddenly find themselves intertwined with two disorientated street people named Dr. Ramirez and Cesar. The film could be interpreted as a prescient outcome of the 2008 financial meltdown before Obama let the nervous bankers off the hook by in effect reassuring them that no one would likely go to prison. Sellars and Adams later collaborated in audacious operas that address recent history: Nixon in China, about the American president’s historical visit to China, The Death of Klinghoffer, a terrorist hijacking, and Doctor Atomic about the physicist J. Robert Oppenheimer, who presided over the Manhattan Project that built the first atomic bombs. The foregoing is by way of background to illustrate Sellar’s aesthetic philosophy that enables us to provide a more rounded discussion of Hercules. Sellars reworked Handel’s 1744 oratorio—a musical work designed as a concert piece rather than a staged opera—by eliminating much of the bloodless libretto of Rev. Thomas Broughton that was encrusted with the promotion of 18th-century pious Christian virtues. In Brougham’s telling, Hercules is a likeable good natured warrior returning from war; there is no suggestion of sexual tension that existed between him and his captive, Iole. Sellars’ Hercules is closer to the raw intensity of Sophocles' Women of Trachis wherein the victorious general is a fierce vindictive demagogue. Sophocles, the only major dramatist who experienced war directly—as a general—understood what war could do not only to the soldier but to his family. Sellars has blended that 2500-year old drama with Handel’s eighteenth-century vision to transform a mythological hero's homecoming into a domestic tragedy for the age of Iraq and Afghanistan. Instead of togas, the soldiers wear army fatigues and women in the chorus cover their hair with scarves. It is no accident that Sellars chose this baroque composer to explore the psychological effects of war on the returning soldier and his family. Handel understood psychic breakdown because he struggled throughout his life with “deep melancholy” and “raging fits.” Perhaps that partially explains why he was deeply attached to other people's suffering. Despite going bankrupt on several occasions to stage his operas, he plowed whatever profits he made into support for mental hospitals, prisons and orphanages. His empathy for other people’s pain was a motivation to write music that could offer consolation. According to Sellars, “The symptoms of PTSD haven’t changed over 2,500 years. Sudden flashbacks, things that keep repeating in your brain and you can’t get the trauma to go away so you obsess over it time and time again. That is the description of a Handel aria.” In an effort to represent this experience, the same line of lyric is repeated over and over again by the different characters often with different notes. The director goes so far as to argue that the thirteen arias (beautifully) sung by Hercules’ wife, Dejanira (Alice Coote), coincide with the PTSD symptoms laid out by the 2006 listings of the National Academy of Sciences. Set against a background of broken columns surrounding a big pit of what appears to be glowing embers, and a shifting, transforming backdrop, Hercules (Eric Owens) arrives onstage late to a triumphal return. He is an American soldier in combat gear home from the maelstrom of war knowing only conflict. To demonstrate its contemporary resonance, set designer George Tsypin places the triumph in the context of a beer guzzling festival and BBQ. This scene captures the public persona of Hercules. In his private world, he is provocatively silent, especially with Dejanira, who alternates between anguish and despair, which she attempts to drown with alcohol. She rightly feels that she deserves respect for her emotional sacrifices as she awaited word about his fate. To add to her misery, he brings with him a prisoner, Iole. Dejanira becomes increasingly jealous suspecting infidelity and as a result they bicker throughout as she swallows fistfuls of tranquilizers to dull her anxieties. But instead of focusing on a love triangle, Sellars widens the context by exploring the psychological effects that war has upon both the returning veteran and the civilians. One of the highlights of the recent symposium was the appearance of several veterans from different wars. Although none had never attended an opera before, they agreed that it had been a powerful experience and that they could relate to it. 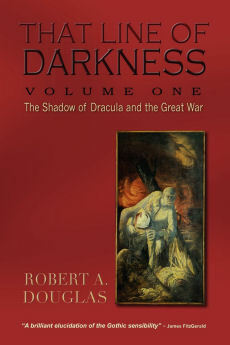 Although they did not provide details, I suspect that they could connect with a veteran suffering from post-traumatic stress: the pain, the bluster, the stonewalling, the anger and confusion of Hercules who is living on a knife’s edge as he attempts to shift into civilian and family life after the life and death experience of war. Ironically, Hercules’ actions set in motion the carnage of the domestic battlefield which will defeat him in the end. He may have shut down his feelings yet Hercules makes his presence felt in every note of the three-hour opera. Handel’s greatest insight was to recognize the veteran’s silence by giving Hercules only three arias to sing. Baritone Eric Owens, who reminded me of Paul Robeson’s presence in films, made him terrifying. 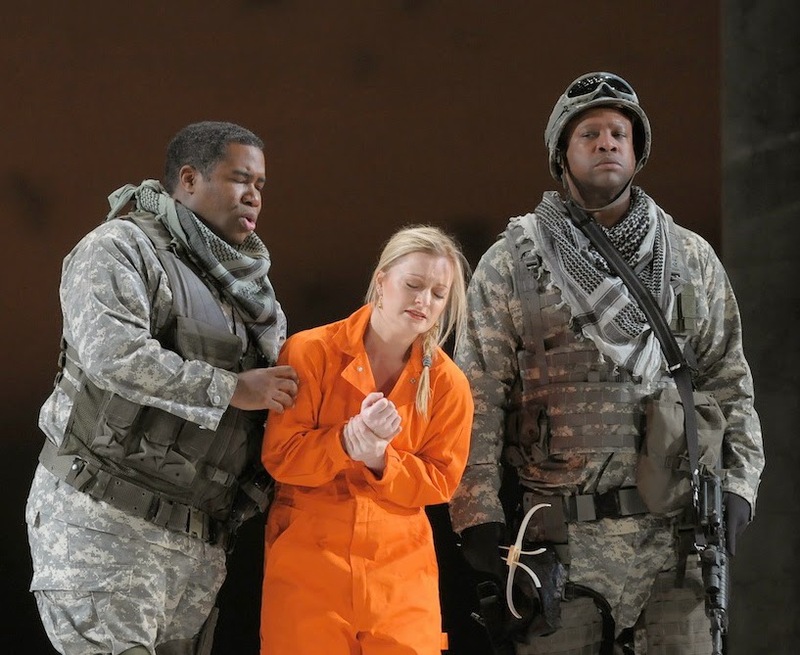 Handel’s sympathetic treatment of the civilians is communicated through his music, the libretto and the acting by extremely accomplished singers. In her first aria, mezzo-soprano, Alice Coote as Dejanira powerfully expresses her grief about not knowing whether her husband is even alive. Throughout, she acts with a raw immediacy that is at times difficult to watch. She moves in fits and starts, once even interrupting an aria to burst into tears. In hopes of reviving a relationship in which she feels she has been wronged, Dejanira gives Hercules a jacket soaked in what she believes to be a love potion, but in reality contains an acid that ravens his body causing him to writhe in hideous pain before dying. The range of emotions expressed by Owens as he lies in the pit during his death throes is one of the most searing moments that I have witnessed on the operatic stage. Iole, who says not a word in the Sophocles drama, is turned by Handel into the moral centre of his oratorio and Sellar’s opera. We first hear her in a heart-breaking aria, “Bright Liberty,” mostly from under a hood, grieving the death of her father murdered by Hercules and the devastation of her country’s defeat. But she is also capable of moments of great compassion when she sings “My Breast with Tender Pity Swells.” Hercules’ son, the physically damaged Hyllus (Richard Croft), becomes abusive with Iole, despite his love for her, after hearing about his father’s terrible demise. Hyllus on crutches is an apt directorial touch given that sons of heroes rarely can live up to their father’s expectations and Hercules’ treatment and gaze toward his son suggest only contempt. The pure countertenor of David Daniels captures the essence of the herald, Lichas, who seems unable to help in any way. Whether it’s a grieving friend, a conflicted son, a jealous wife, a tortured mistress or the psychologically ravaged title character, Sellars helps all of them achieve a depth of performance that is deeply moving and executed with complete precision of diction. Harry Bickett on the podium elicits from the COC Orchestra an impeccable period sound of Handel’s emotionally rich and at times dissonant music. Indeed, the whole production, including the chorus that comments on the action by the leads and tells the audience about the characters’ true feelings, is stellar without a false note. The recent memory of the many suicides of Canadian veterans returned from Afghanistan made the lyrics of the final ensemble sequence praising “the theme of Liberty’s immortal song,” touch us in a way that Handel, who Sellars believes was writing for the future, could only imagine. As veterans struggle to integrate into a civilian world after the horrors of war, Sellars’ vision of Hercules is not merely relevant but carries an urgent message, one that the veterans who participated in the symposium, and Kip Pegley, a professor of music and researcher at the Canadian Institute for Military and Veteran Health Research, communicated most forcibly: the cycle of isolation and violence needs to be broken. Perhaps Sellars assisted in that task by dissolving the boundary between art and life.